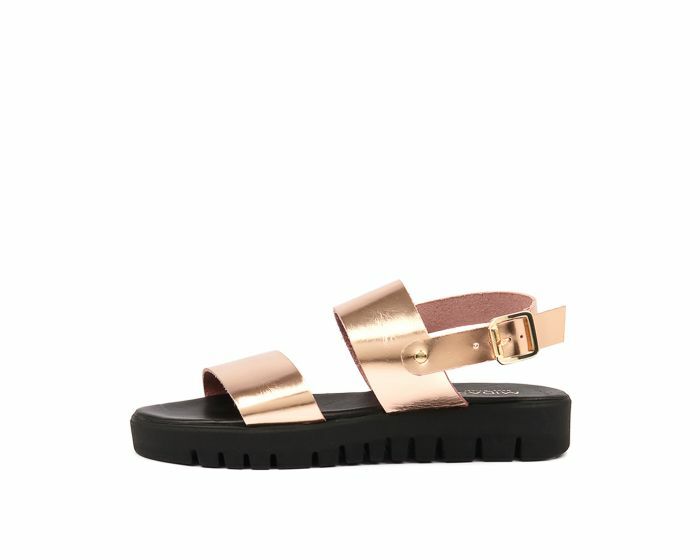 This two-toned flatform sandal will make an edgy addition to your summer wardrobe. 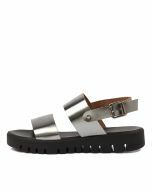 Crafted from shiny metallic leather, LOULA features two straps that secure and flatter the foot, along with a comfortable and adjustable ankle fastening. The raised footbed lends the perfect touch of height, while the cleated sole provides good grip and makes this design perfect for all-day wear.